Have you seen the new purple jars? They are just gorgeous. Bright, grape purple. Excellent for crafts, but also excellent for grape jelly. 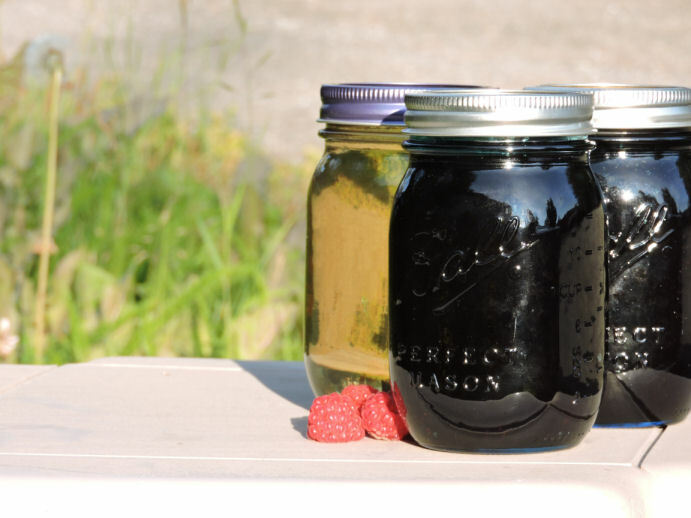 Grape Jelly is a great starter jelly for people just beginning to can because it can be made economically and easily from grape juice. It makes a lovely gift. FreshPreserving.com has a lot of recipes available. The site is the home of Ball® Canning products, and today they will be showing video workshops and answering questions on their Facebook page and on Twitter. 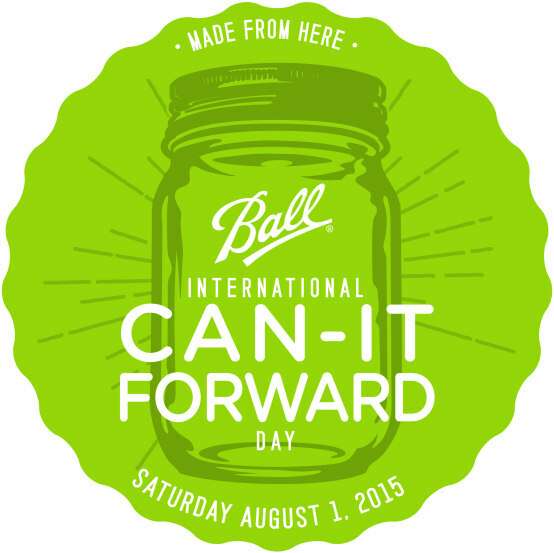 I love canning, and so does my daughter- and I love the Heritage collection. I have all 3 colors, and my favorites are the green jars from the first year, with this year's purple coming in second. My daughter's favorite are the blue ones. If you look at the flower jelly in the back- that has a pretty purple lid. This year, they came out with gorgeous colored lids and bands to personalize. So you can have blue jars with red lids, or purple with purple lids. You can mix and match to your heart's content. They also have the Sip and Straw lids in great colors too. Right now I'm a little annoyed because I took a pretty picture of ice water flavored with apples and mint and can't find the photo. The Sip and Straw lids are available in purple, red and blue. If you love mason jar fashion, or simply want to be more ecologically friendly and use reusable drink containers, these are a great choice. The straws are big enough for your thickest smoothie or shake recipe. I've already written about this year's Ball Blue Book® Guide 37th Edition. All the things mentioned above were given to me for review purposes, but what I haven't talked about is the Ball® freshTECH Electric Water Bath Canner + Multi-Cooker. I bought this for myself. I love it, my daughter loves it. It doesn't heat up the kitchen the way having our gas stove on does, and with, we can get things set up production line style. Make the jam, fill the jars, put the jars in the canner. When we want nearly no effort jelly, we use the FreshTECH Jelly and Jam Maker, and make a batch, get it processing, rinse out the bowl for the jelly maker, start the next batch. I love this time of year. My berries are turning red, and it's time to start canning them forward. Nearly everybody appreciates a gift of homemade jam, and it's so easy.